With National Day coming up, many restaurants are coming up with themed menu items to pay tribute to Singapore and Old Chang Kee is no exception. 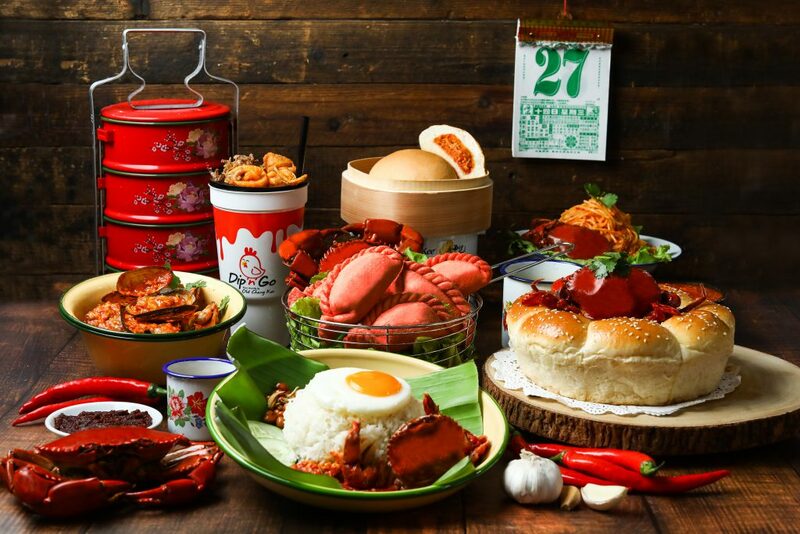 This year, Old Chang Kee and its affiliated brands have come up with a Chilli Crab feast, with all things related to the beloved seafood dish. The first addition in the Chilli Crab Feast, is the Chilli Crab’O ($2.20). This isn’t the first time that Old Chang Kee has released a Chilli Crab-flavoured curry puff. They did it back in 2014, though it didn’t have the red hue that this new one sports. Another difference is that this new Chilli Crab’O uses real crab meat instead of the crabstick that was used in the previous one. The Chilli Crab’O will be available at ALL Old Chang Kee outlets islandwide for a limited time only. There’s also a promotion currently, where you can get 2 Chilli Crab’O for $4 (U.P: $4.40). 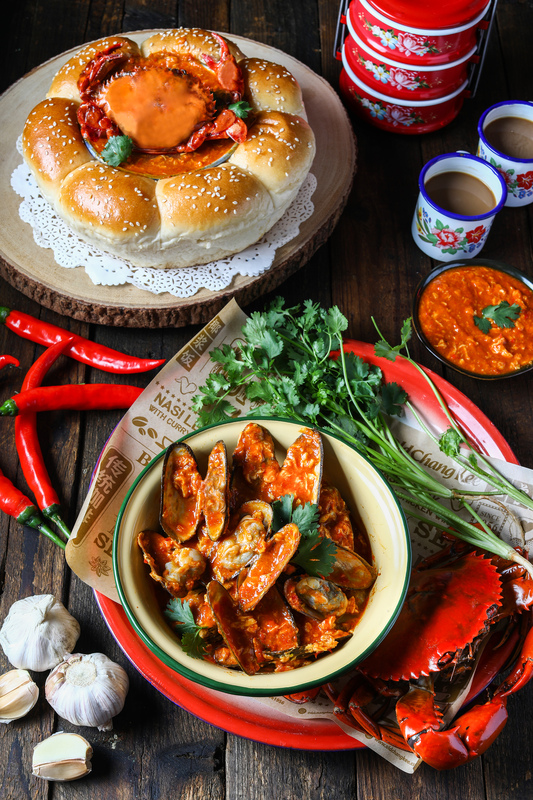 The Old Chang Kee flagship coffeehouse at Rex will be introducing 2 new limited time menu items, the Flower Bread with Chilli Soft Shell Crab ($14.90) and the Mussels with Chilli Crab Sauce ($14.90). Old Chang Kee’s signature flower bread is great for dipping in the chilli crab sauce. The best part is that the dish uses soft shell crab so it’s easy to eat. Because we all know that the most troublesome part of eating chilli crab is prying the flesh from the crab. The Flower Bread with Chilli Soft Shell Crab is great for sharing. If you’re not a big fan of crab, go for the Mussels with Chilli Crab Sauce. These 2 dishes are exclusive to the Old Chang Kee flagship coffeehouse at Rex. You’ve heard of Lobster Nasi Lemak and other gimmicks, now get ready for Chilli Soft Shell Crab Nasi Lemak ($11.90). 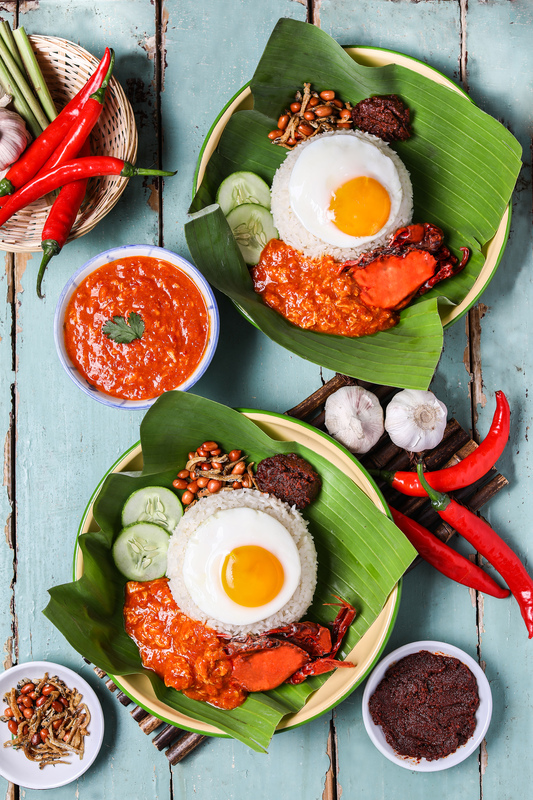 Soft shell crab drenched in their special chilli crab sauce, served with coconut rice, ikan bilis and peanuts, a fried egg, and sambal chilli. This new dish is exclusive to the newly opened Old Chang Kee outlet at Kallang Wave Mall and will be available for a limited time only. Yet another Chilli Soft Shell Crab dish, this time it’s Soft Shell Crab Noodles with Chilli Crab Sauce ($14.90). 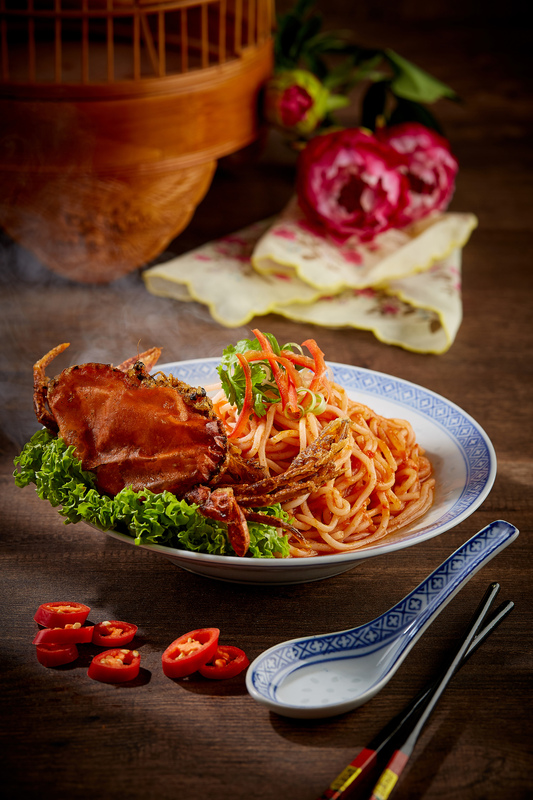 Thick bee hoon (like the kind you have in your fried fish soup) is cooked in their special chilli crab sauce, and served with crispy soft shell crab. This will be exclusive to Curry Time outlets for a limited time only. Find your nearest Curry Times outlet here. Bun Times is known for their curry buns so it comes as no surprise that they’re serving up a new Chilli Crab Bun ($2). 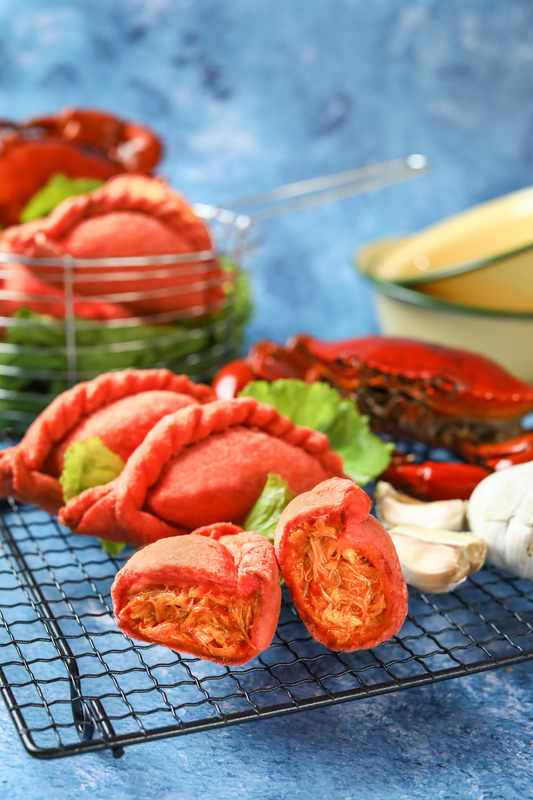 Pillow soft bun filled with chilli crab sauce and REAL crab meat. 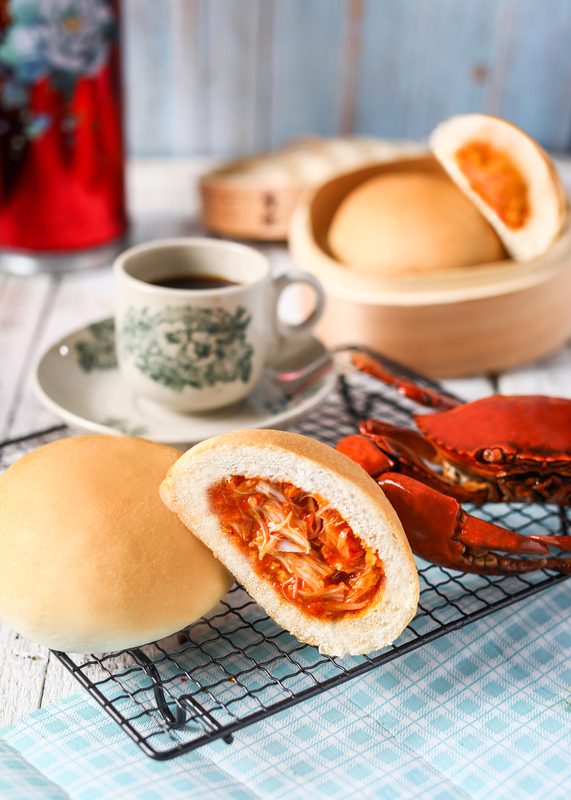 It’s both the chilli crab AND the mantou. Get yours exclusively at Bun Times for just $2! Find your nearest Bun Times outlet here. Dip ‘N’ Go allows you to choose from 6 main fried snacks and a dipping sauce to go with it. 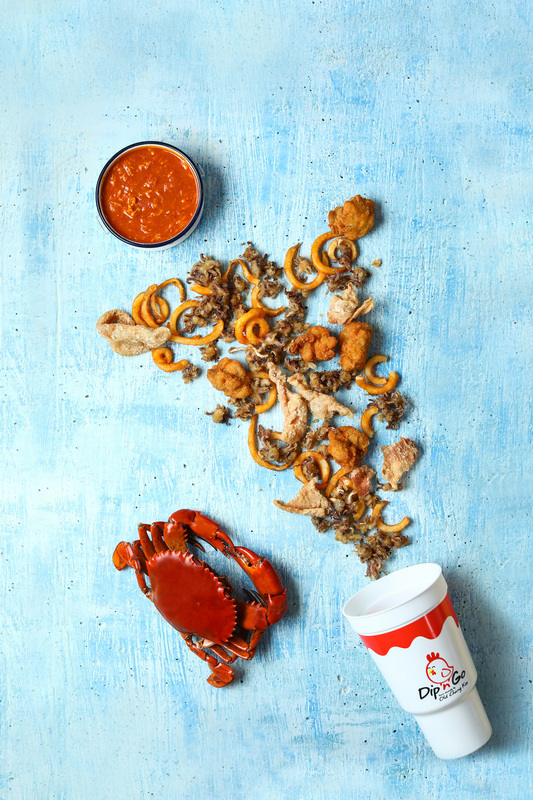 You can choose from their QQ Fries, Chicken Skin, Chicken Pop, Chicken Nuggets, Chicken Chunks, and even Baby Squid! They have 6 dipping sauces for you to choose from – Fiery Chilli, Honey Mustard, Wasabi, Cheddar Cheese, Barbecue, and Teriyaki. Now they’re adding a new sauce to the menu for a limited time. It’s Chilli Soft Shell Crab Dip! If you’re sick of dipping mantou into chilli crab sauce, then you should try dipping chicken nuggets instead. Try the Chilli Soft Shell Crab sauce exclusively at Dip ‘N’ Go. Old Chang Kee is really going all out with this Chilli Crab Feast. You cannot escape chilli crab this season. The promotions began on 15 July 2018 and will end on 31 August 2018. So hurry and have chilli crab to your heart’s content with Old Chang Kee! P.S: Don’t miss out on Old Chang Kee’s Curry Day too!